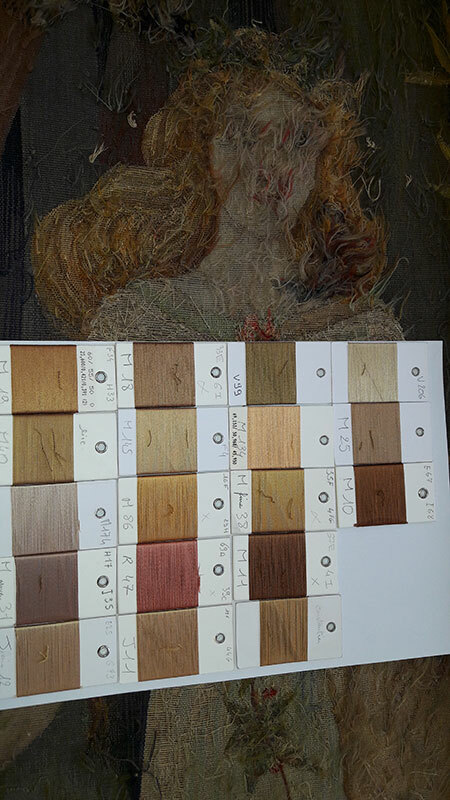 After a first woven sample of La Fée des Bois, the Workshop continues with the research work initiated by La Cité international de la Tapisserie et de l’Art tissé (http://www.cite-tapisserie.fr/fr/la-cité-internationale-et-son-musée/recherche-et-innovation/retissage-de-tapisseries-anciennes) in order to realize an exhaustive list of all the shades of the composition. 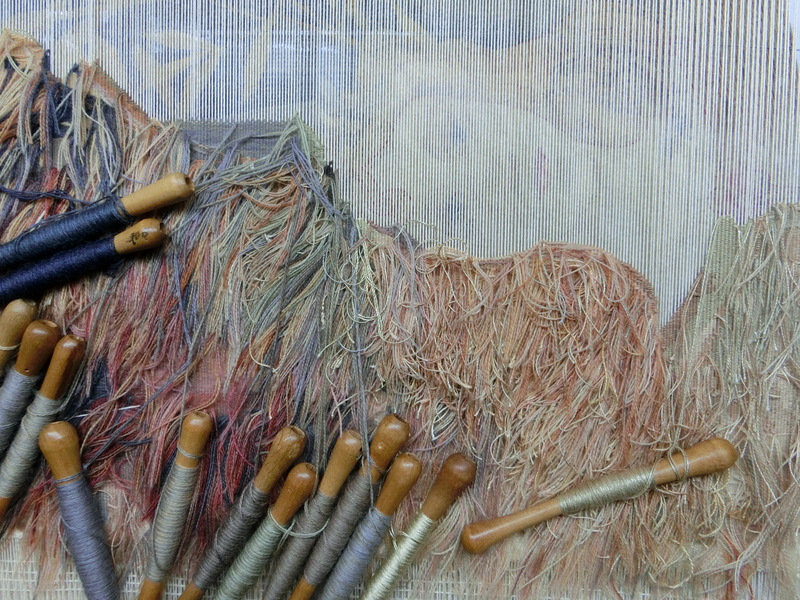 This preliminary stage is essential to rediscover the arrangement of the original shades in order to propose a faithful experimental reweaving. 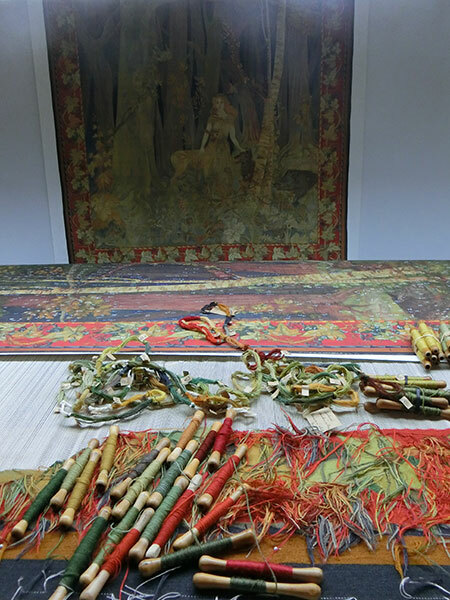 This novel research work consisted in making the inventory of almost three thousand different assemblies of colours and in their cartography on a study model (image High Definition of the wrong side of the existing tapestry, where the colours are more preserved from fading). 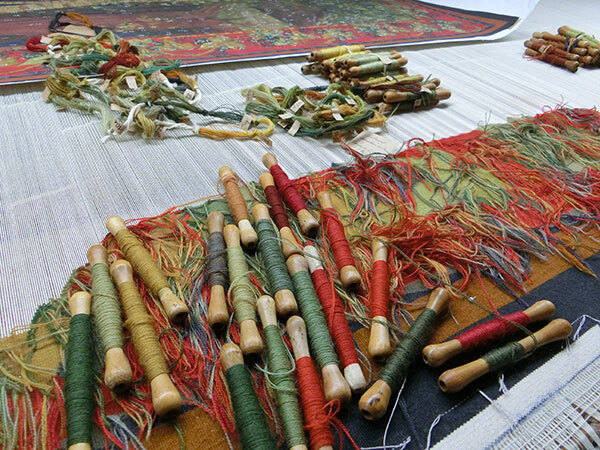 In a second phase, these assemblies of colours must have been dissociated in elementary pure colours, preliminary stage necessary to the dyeing of the wool and the silk colour range. 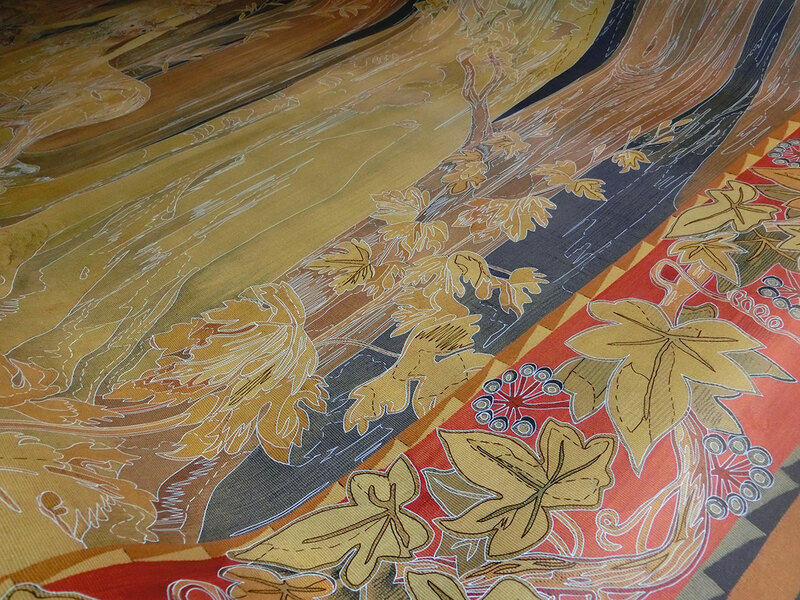 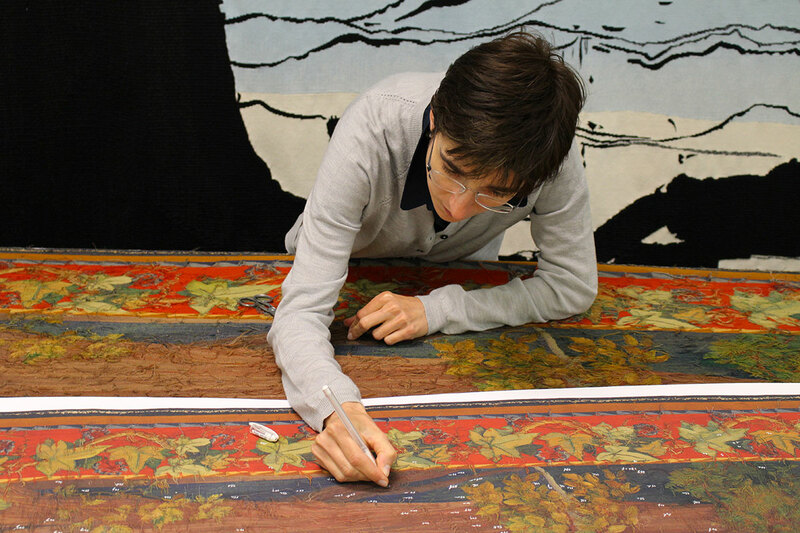 On the basis of these elements and by continuing our investigation, the range of the different assemblies of colours which compose the original tapestry, could have been reconstituted. 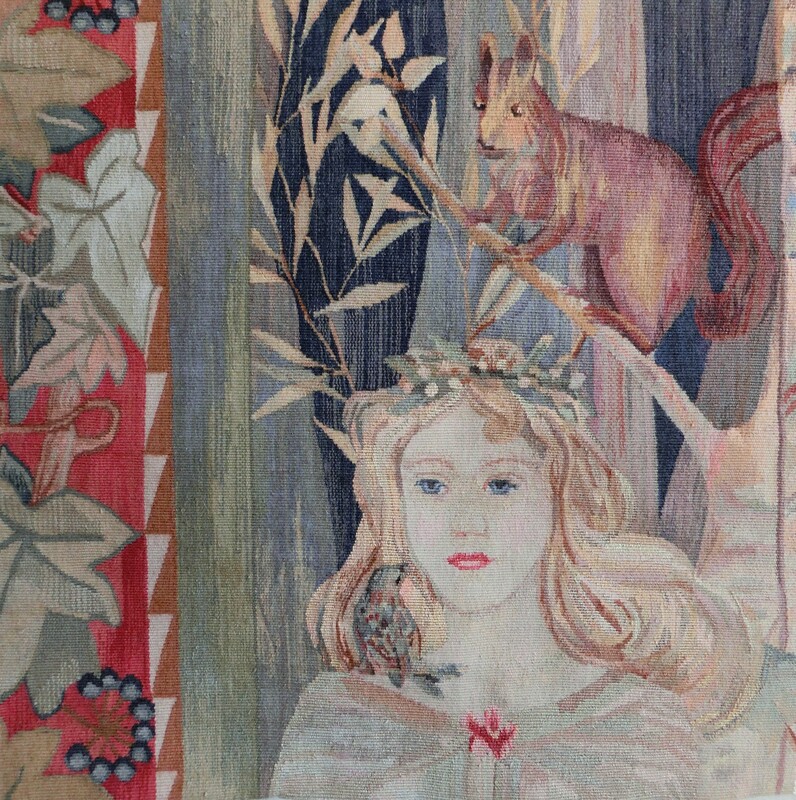 After a minutely detailed drawing of a full-size image of the existing tapestry, we tried to approach the original weaving cartoon, now disappeared. 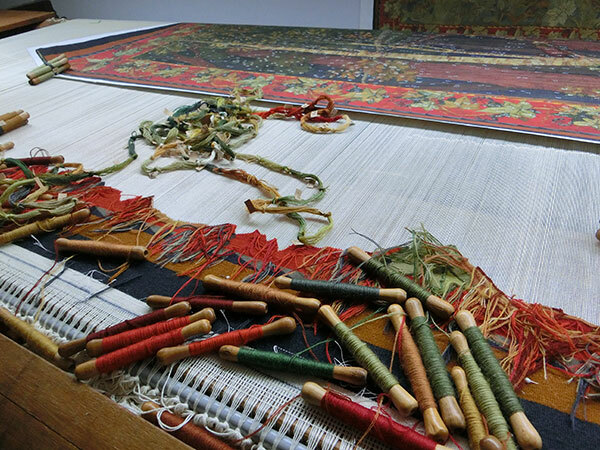 After this long-term research work, which will have to go on and to become more refined all along the weaving, the reweaving finally began. 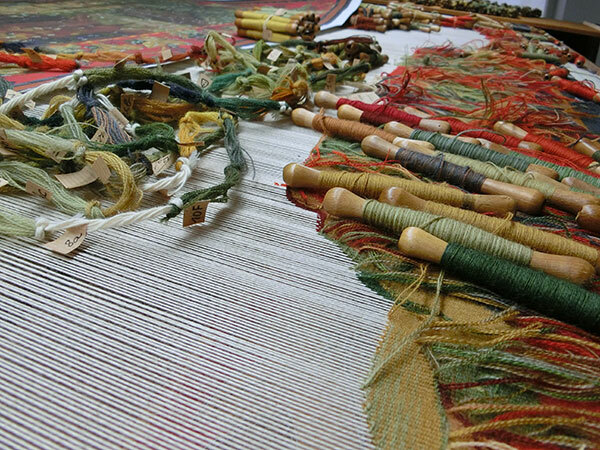 The tapestry is woven with a 25 cotton warp density, like the original tapestry, and using the same techniques as the one used in 1909 by the weavers of the tapestry workshop Croc-Jorrand. 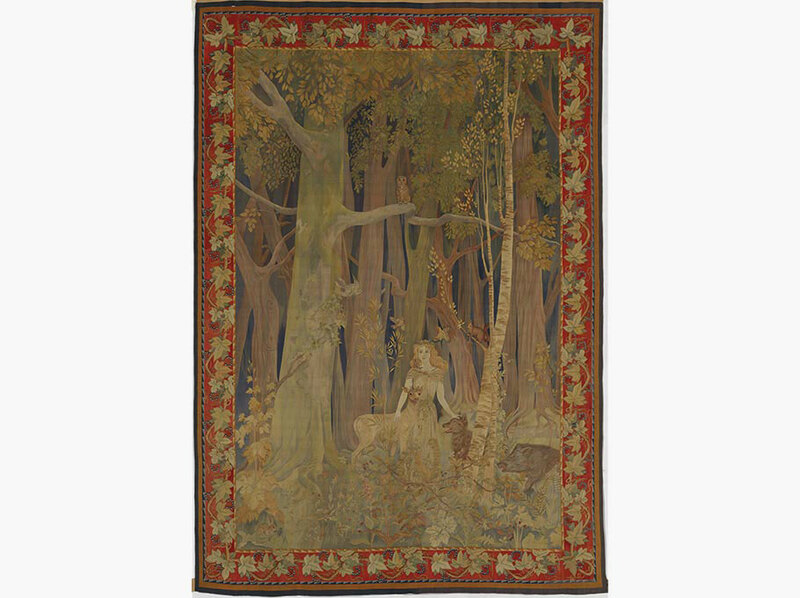 The weavers of the Bernet workshop, like their predecessors before them, immerse themselves in the so particular atmosphere of this tapestry La Fée des Bois.